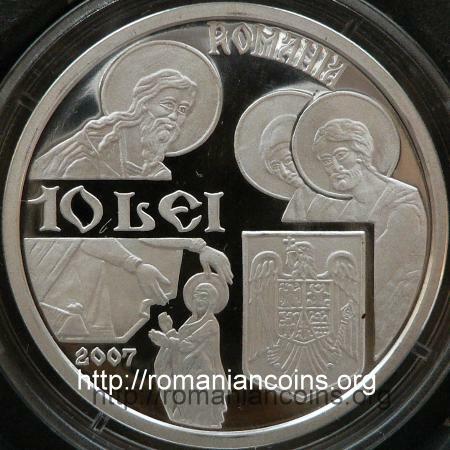 Obverse: ROMANIA, face value 100 LEI, year 2007, coat of arms of Romania and a fragment of the icon depicting the Entrance into the Temple of Our Most Holy Lady the Theotokos and Ever-Virgin Mary: at left, the High Priest Zacharias receives Virgin Mary (at the steps of the Temple); at right Joachim and Anna, Mary's parents Reverse: the church of Snagov Monastery, effigy of prince Vlad Ţepeş, inscription "MANASTIREA SNAGOV" meaning "SNAGOV MONASTERY"
The effigy of prince Vlad Ţepeş on the coin was designed after a portrait of the voivod - the painting being kept in Ambras Castle in Tirol (near Innsbruck, in Austria). The oil painting from Ambras Castle is actually a copy of another painting that was made during the lifetime of the voivod. The church of the Snagov Monastery is dedicated to the Entrance of Virgin Mary into the Temple. The monastery of Snagov is placed on an island of Snagov Lake, about 40 km north from Bucharest. 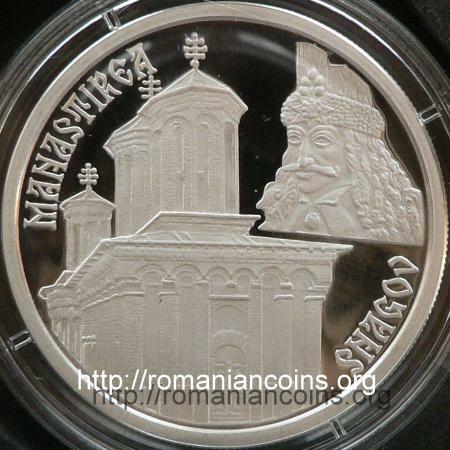 The monastery is very old, its existence being confirmed by a diploma of Mircea the Old in 1408. 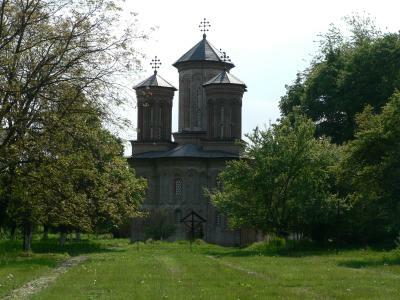 Between the founders of Snagov Monastery are many rulers of Walachia. 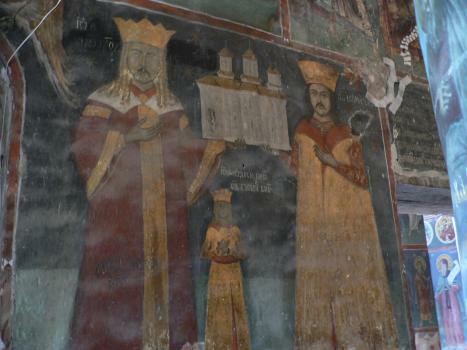 The church of the monastery was founded by Neagoe Basarab and preserves several fragments of the medieval picture. In the 20th century the church was crippled by several earthquakes, being restored for several times. 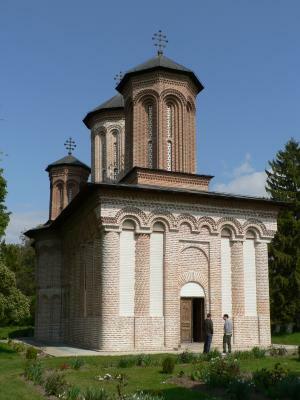 The legend says that prince Vlad Ţepeş was burried in the church of Snagov. 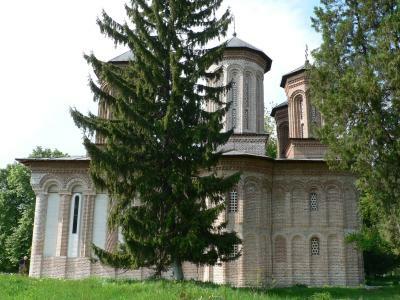 The Snagov Monastery was an important cultural center for the Romanians. Here functioned the printing house of Antim Ivireanu (metropolitan of Walachia at the beginning of the 18th century) and here were printed fifteen religious books.